Speaking of Belgium (yesterday), I came across the most tasty of Belgian chocolates last week. 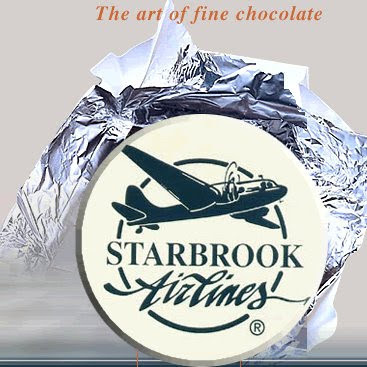 They are called "Starbrook Airlines", which is a made-up airline company, with the most natural and full-bodied taste of real, proper chocolate. 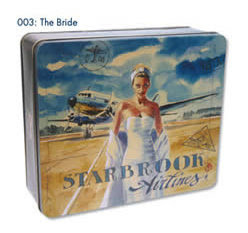 These first class frequent flyers make flying look so sensual and dream-like. It actually seems to calm, and also excite me to fly in 11 days. 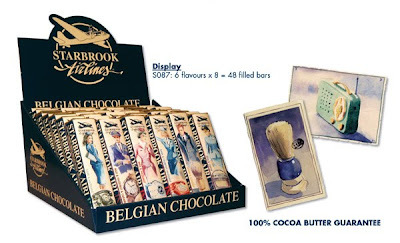 All the brilliant oil paint and watercolour illustrations are all beautifully painted by Belgian artist Jaak De Koninck, a.k.a. Jack Learoy (1950). 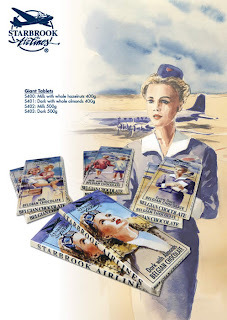 He seemed to have a passion for air hostesses and anything to do with flying. 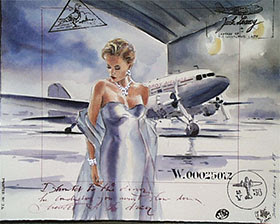 Most of Mr. Learoy's work was stamp-sized, and some pieces you can still see in the Belgian airport of Zaventem. 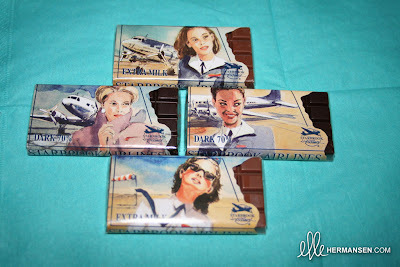 Jack's imaginary airline can be seen on these wonderfully wrapped, decadent tasting, chocolates. I prefer the dark chocolate, and it is probably the most tasty dark chocolate I have ever tried. Seriously. The art is lovely, and it would be cool to own one of his nostalgic art pieces. I feel guilty opening up these chocolates to try them, as they are that pretty!